In terms of number of units, it’s not a very large addition, but four luxury, high-design new housing units have been added above Nudo and Fire at 820 W Sprague in downtown Spokane. On paper, this development might not seem notable, especially due to its small size and luxury price tag. But it seemed worthy of sharing, mainly due to its beautiful design. 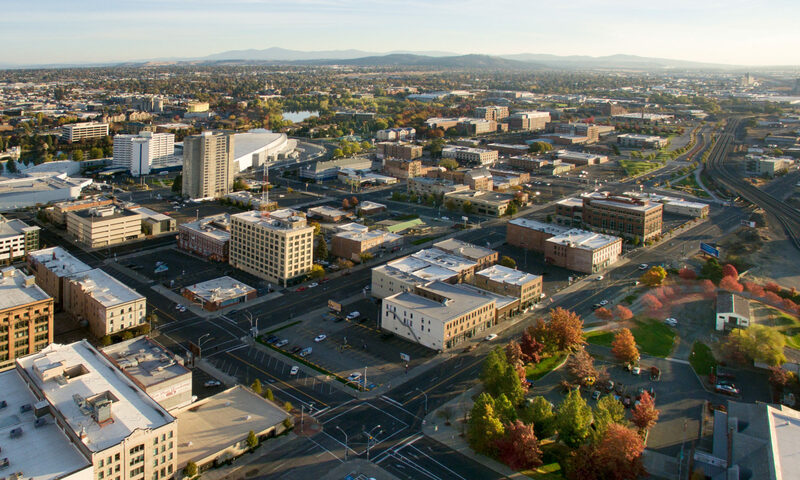 Architects and interior designers at HDG Architecture have crafted a luxurious set of modern, airy spaces which exude all of the sophistication you would expect of a big city, without losing the authenticity, character, and charm of Spokane. And of course, this being HDG, there are some special flourishes which befit their status as one of our region’s most recognizable design firms. Jump after the break for more photos and details. The Mystery Lofts were originally planned to be completed in August, but various delays mean that they are now ready for occupancy. Each unit features 1,280 square feet of space, and leases run between $2,400-$2,600 per month. Indeed, these are luxury units, and their location in the core of downtown Spokane and directly across from the Davenport Hotel typically commands a high price tag. But these rates appear to push the downtown rental market to breaking point. It will be interesting to watch in coming months to see how long they take to fill to capacity. SHARE YOUR THOUGHTS: What are your thoughts on the Mystery Lofts? How do you feel about the design? Do location and design command enough value to back up the high price tag? Share your thoughts on Facebook, on Twitter, in the comments below, or in person. We love to hear from you!